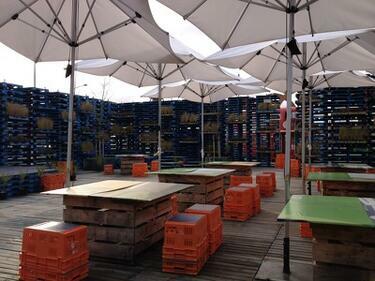 Showing 1 - 20 of 338 results. 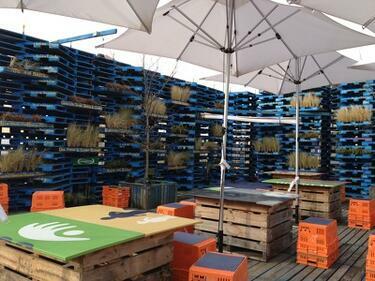 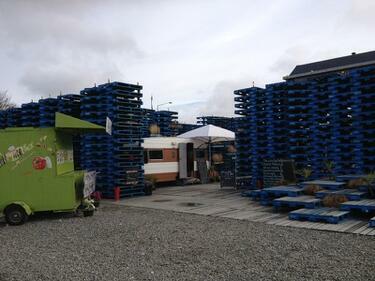 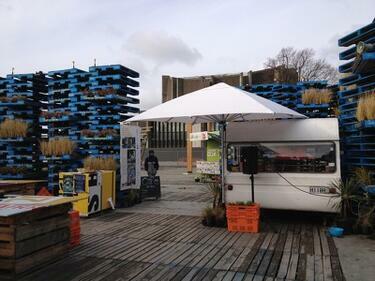 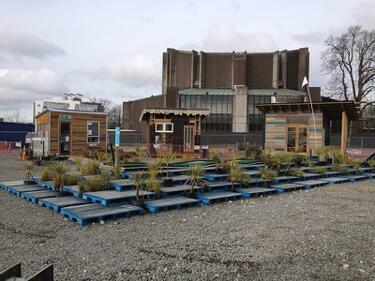 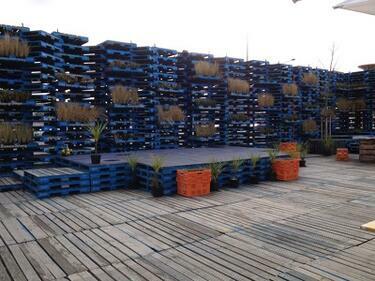 A photograph of the Pallet Pavilion on the corner of Kilmore and Durham Streets. 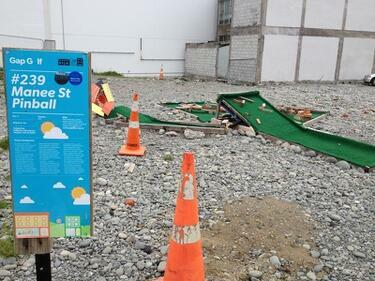 A photograph of Gap Filler's Gap Golf hole number 18, "Manee Street Pinball". 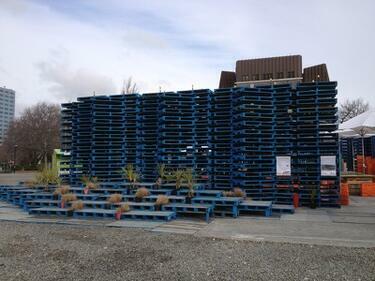 A photograph of the Gap Filler headquarters near the Pallet Pavilion on the corner of Kilmore and Durham Streets. 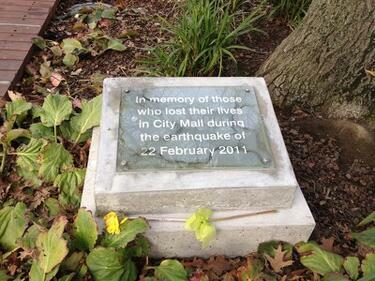 A photograph of a plaque dedicate to those who lost their lives in City Mall during the earthquake of 22 February 2011. 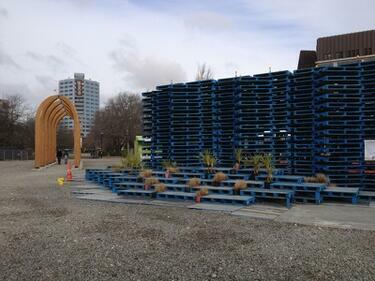 The plague is located under a tree in Re:START mall. 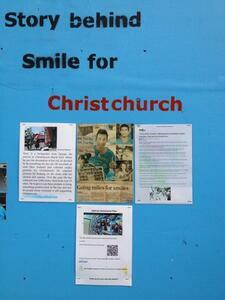 A photograph of Terry Chung's project 'Smile for Christchurch'. 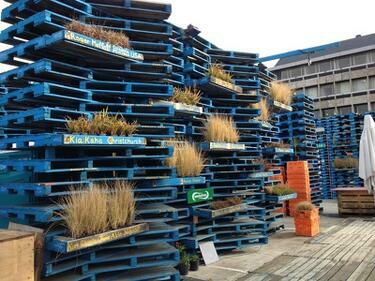 The project consists of hundreds of photographs of people smiling. 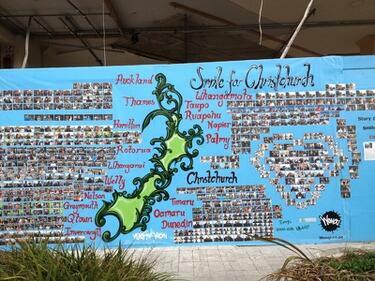 The photographs are stuck to a painted blue wall in Re:START Mall. 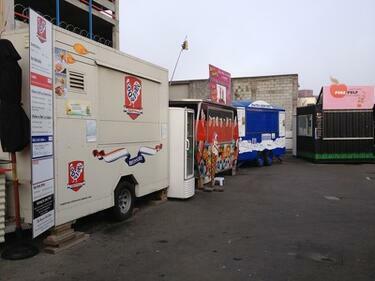 A photograph of food vendors at Re:START mall. 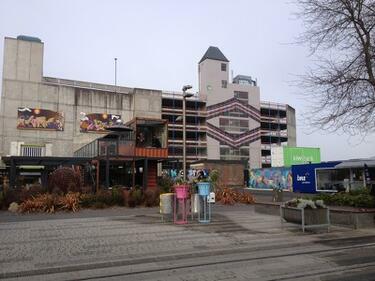 A photograph of background information on Terry Chung's project 'Smile for Christchurch' on a painted wall in Re:START mall. 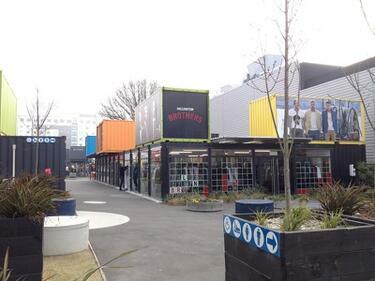 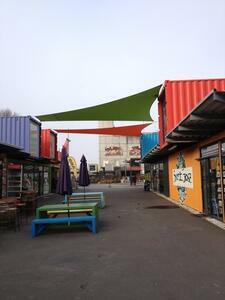 A photograph of retail shops in colourful shipping containers at Re:START Mall. 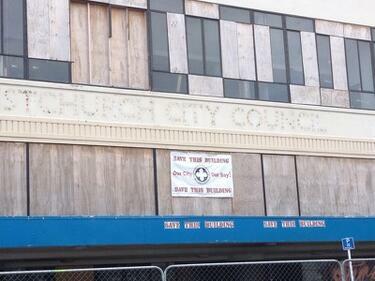 A photograph of a sign reading, "Save this building", on the badly-damaged Christchurch City Council building on Tuam Street. 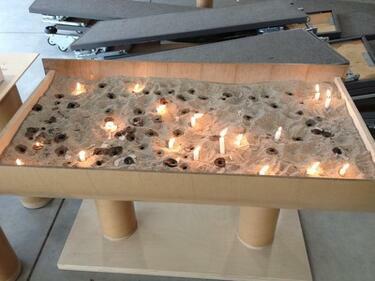 A photograph of candles in a sandbox inside the Transitional Cathedral. 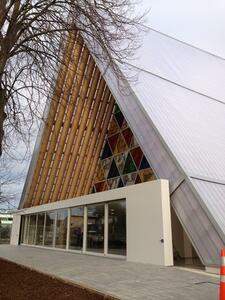 A photograph of the Transitional Cathedral.